Simon Cowell might wear a black t-shirt to virtually every appearance, but the British TV personality still manages to surprise us every once in awhile. The former American Idol judge and current X Factor judge is reportedly expecting a child... with his friend's wife. Us Weekly reports socialite Lauren Silverman is pregnant with Cowell's baby, despite still being married to her estranged husband, Andrew Silverman. Though the Silvermans have yet to officially call it quits, a source tells Us, "Lauren and Andrew have been unhappy in their marriage for some time, and their divorce has been in the works for a while ... As their marriage deteriorated, she and Simon became close." 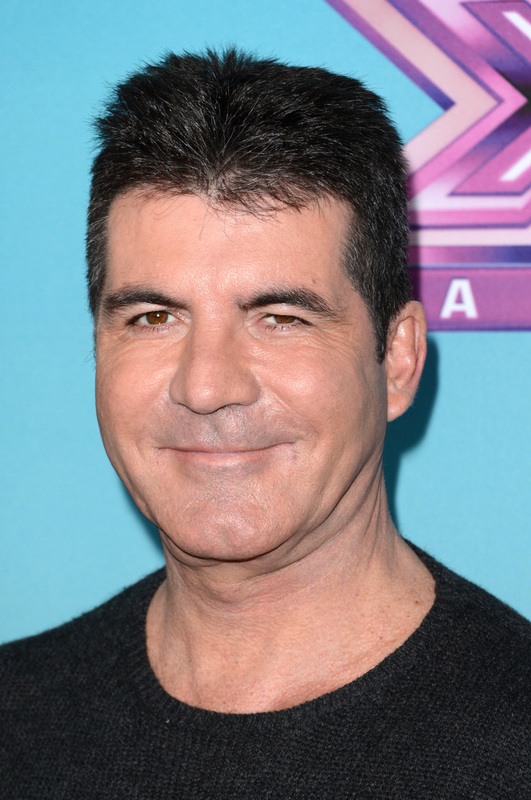 Imagining the 53-year-old as a father isn't quite easy — Cowell, who regularly delivered acid-tongued barbs during his nine seasons on American Idol, isn't necessarily known for his cuddly nature. And, in years past, Cowell himself said he never wanted to have children: "God, no. I couldn't have children. If I had them here drawing on the walls I'd go nuts ... With kids, you've got a routine you can't escape from. You've got to be up at a certain time. Got to listen. When all you want to do is sit in a corner thinking." But, after joining X Factor — a reality series far softer than Idol — Cowell seemed to have softened as well. In recent years, Cowell spoke about being open to the idea of fatherhood. As Cowell told the Sunday Mirror : "Would I like kids? If I knew I could be, and how could I put this delicately, faithful, then yes. I do like kids. I'm not sure I would be a good dad for the first six months or so but once they know who I am, I would like it. I definitely haven't ruled out having children." And, if Cowell gets it his way, his own child would be less likely to rock his trademark black t-shirts: "If I did have a child, I have to say I'd prefer a girl."